There is a tidal wave of content on the internet, each piece trying to grab your undivided attention. 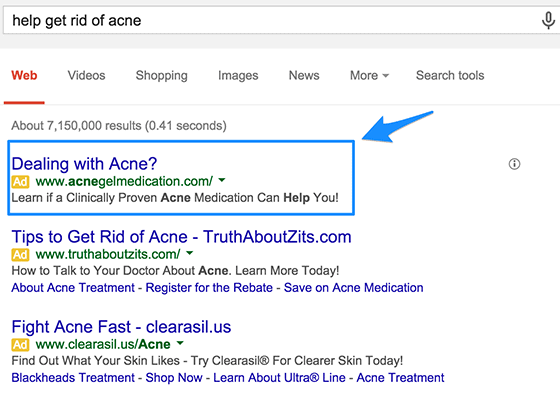 In such a scenario, how do you get people to pay attention to your PPC ads? It’s simple – you create headlines that make it hard for them to resist clicking on your PPC ads! For that reason, it’s crucial that we create ads that are different from run-of-the-mill PPC ads that inundate the search engines. Here are a few tips to write the perfect PPC headlines. Remember what Apple did when they launched iPod? When all existing MP3 players in the market were talking about the storage for their product (feature), Apple decided to show how you could use the storage to save 1000 songs in a compact mp3 player that would fit into your pockets (benefit). This is a classic example of an ad showcasing benefits, not features. Remember this principle while creating headlines for your PPC ads. Always keep the end user in mind. Using keywords associated with your brand or product is important. But when the keywords in your PPC headlines are the ones which are currently trending on the internet, you increase the chances of your ad being seen and clicked through. 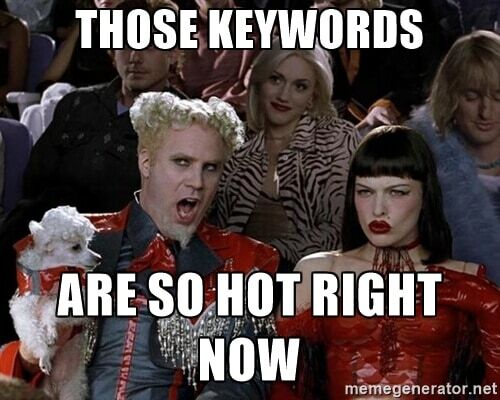 Use tools such as Buzzsumo, Google Trends, and Google News to find keywords that are hot right now and use them in your copy for your ads to stand out amidst the PPC ad clutter. Target people’s emotions while creating your ads. One way to do this is by asking questions. The ad copy below is a perfect example of an ad which spawns an emotion, then drives interest. Almost all PPC ads look the same. This is because most ad networks don’t allow you to play around with the color of your headlines or make the text bold. So how do you make your ads stand out amidst the clutter? Simple answer – Capitalize the main keywords on your headline. This will increase chances of your ad being noticed. People like discounts on their favorite products. So if you’re running a discount on any of your products or services, highlight the discount percentage to grab people’s attention. Ecommerce sites such as Amazon and eBay do this all the time. You can also share interesting stats related to your product/service. People respond positively to empirical evidence. Use these stats to build your brand’s credibility and trust in the minds of your prospects. If you have a loyal fanbase, include some of their testimonials about your product in your PPC ad headline. Use quotation marks to make it obvious that you’re quoting someone, and make their quote or testimonial relevant to the ad. This is another way to boost your brand’s credibility. Avoid using unnecessary jargons. You only have a few seconds to grab your prospects’ attention. So keep your ad copy short, concise, and to the point. A little competitive intelligence goes a long way in improving your ad copy. Use tools such as SEMrush, Serpstat or SpyFu to examine which keywords are performing well for your competitors and gain deeper insights into their PPC campaigns such as headlines, landing page design, etc. Pro Tip: I urge you to read this article on how to use SEMrush to steal your competitors’ ideas to rank higher in search engines. Another way of differentiating your ad is by adding a tinge of humor to your copy. But proceed with caution. What may be funny to you may be offensive or downright insulting to others. Lots of brands have gotten themselves in trouble because of using inappropriate humor in their ads. Don’t make that mistake. So these are the 9 tips which can help you write catchy headlines for your PPC ads. What are your favorite tips? Feel free to share your thoughts in the comments section. And don’t forget to download the free PPC questionnaire below!